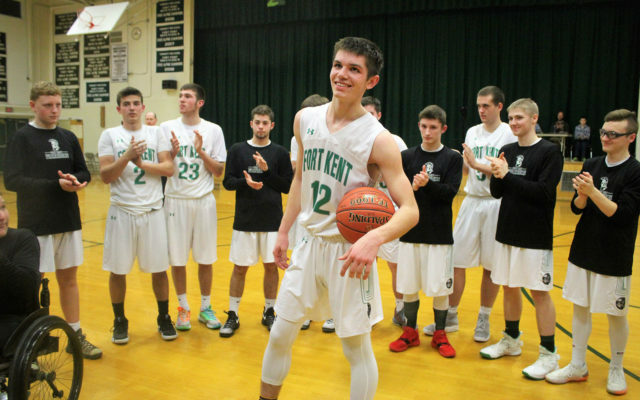 In front of a packed audience of his family, friends and Warrior fans, Fort Kent Community High School senior Caleb Delisle reached a coveted milestone in high school basketball as he scored the 1,000th point of his career Monday, Feb. 4. 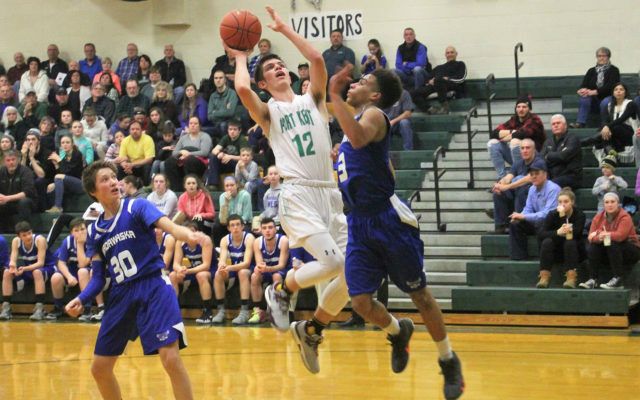 FORT KENT, Maine — In front of a packed audience of his family, friends and Warrior fans, Fort Kent Community High School senior Caleb Delisle reached a coveted milestone in high school basketball as he scored the 1,000th point of his career Monday, Feb. 4. Delisle entered the game against Madawaska 20 points shy of the scoring achievement. Perhaps it was only fitting he reached the milestone during the last home game of the season, which also served as senior night for the Warriors. 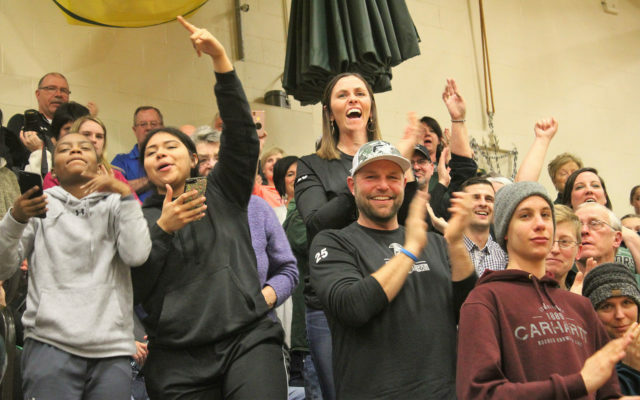 Delisle’s parents, Travis and Tammy Delisle attend all of his basketball games, as they did Monday evening. Delisle crossed the 1,000-point threshold with a shot he has made many times throughout his career — a fadeaway jumper. Fellow senior Camden Jandreau assisted his shot with 2:26 remaining in the third quarter. Delisle’s achievement marks the first time in 23 years that a member of the Fort Kent Community High School boys basketball team has scored 1,000 points. The last was Ryan Martin in 1996. In 2018, Cassidy Lovley of the Warrior girls also scored 1,000 points. Boys basketball head coach Derrick Cooper said he is proud of Caleb Delisle, who he has coached all four years of high school. Cooper said Delisle is ​one of the most committed basketball players he has ever coached. for Delisle after he made the once-in-a-lifetime basket. The Warriors are 13-4 on the season and ranked sixth in the Class C North standings with one game to go. 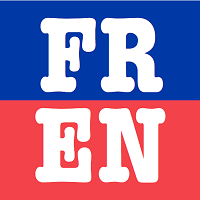 Fort Kent travels to top-ranked Central Aroostook High School (15-2) on Wednesday, Feb. 6, at 7 p.m.
After that, it is on to the postseason for the Warriors as the team will likely host a preliminary playoff on Wednesday, Feb. 13. Once their season is over, school officials will add Delisle’s name and complete point total to a banner hanging in the gymnasium.